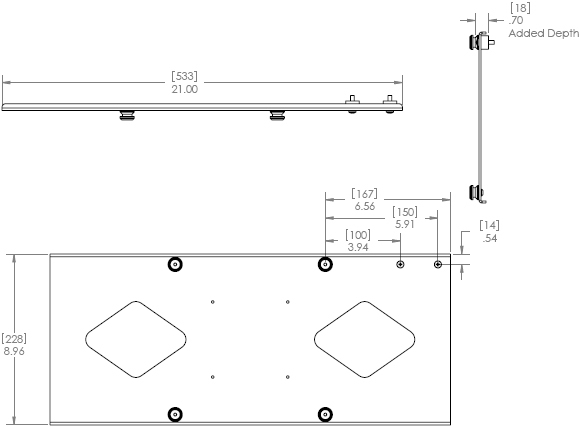 Additional MSB6015 or MSB6243 Custom Interface Bracket required. Question: Is a shelf option available with the floor stand? Answer: Yes. Up to three PAC710 height-adjustable shelves can be used with the floor stand (must be ordered separately). Question: Is there an option available for storage and transport of the floor stand in rental and staging applications? Answer: No. The PAC700 travel case is designed specifically for the Chief mobile carts and does not correctly support the floor stands. Question: Do I need to order a separate interface bracket? 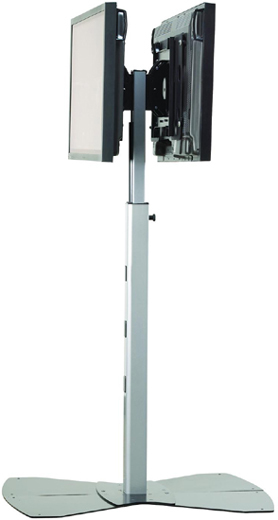 Answer: Chief's floor stands and mobile carts can be ordered as custom or universal mounts. The universal MF2U is sold with a universal interface bracket. The MSB custom interface bracket that is designed specifically for your display is sold separately.